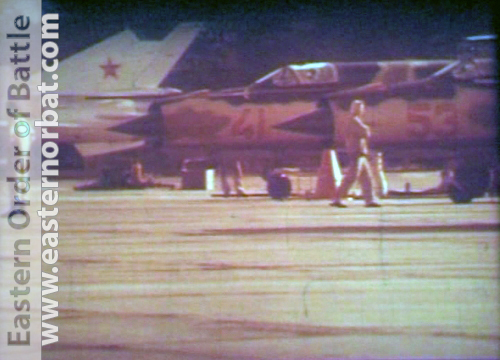 The Soviet 115th Guard Fighter Air Regiment's life and special camouflage MiG-21bis type in 1978-1979. 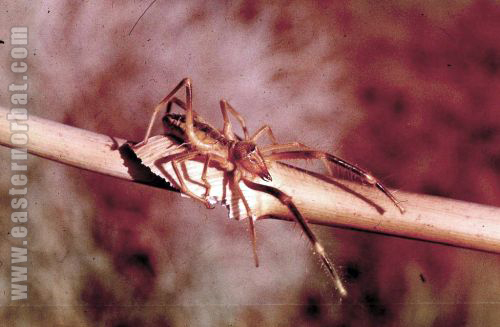 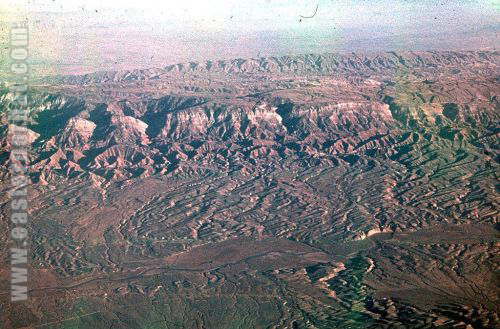 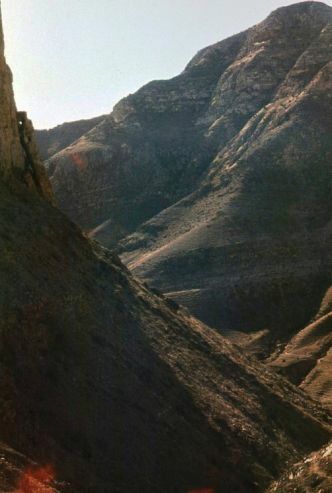 Hot, desert sand, strong sunlight, frequent sand storms. 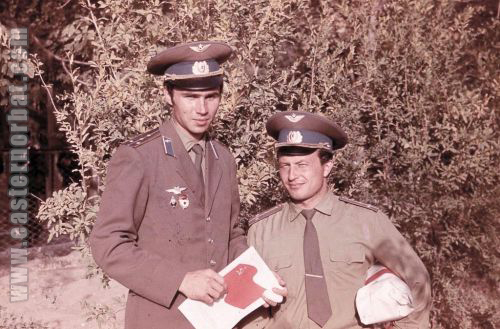 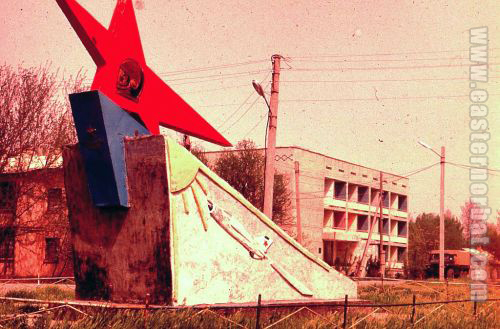 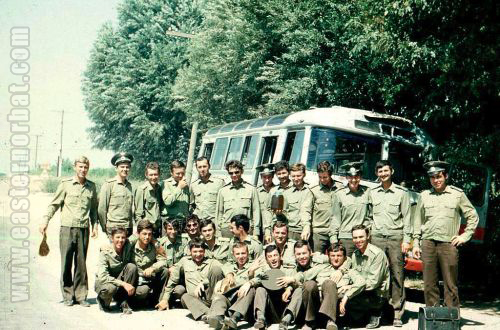 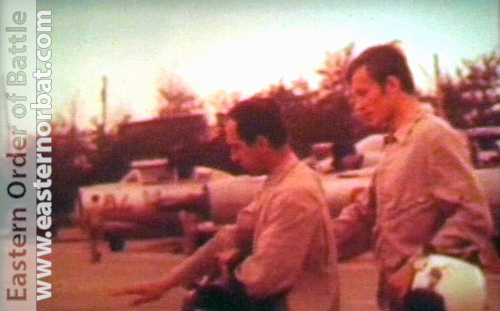 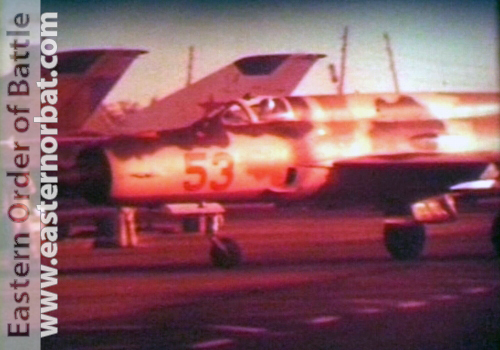 This is Kokayty the Soviet 115th Guard Fighter Regiment's Airport in 1979. 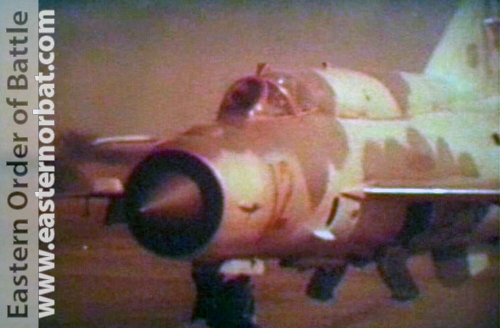 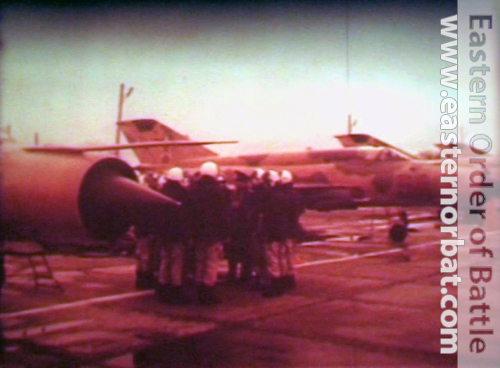 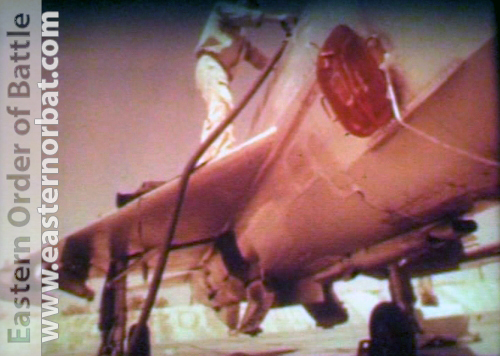 The regiment's gray MiG-21bis Fishbed-L tactical fighters burned the hands of the mechanics in the heat. 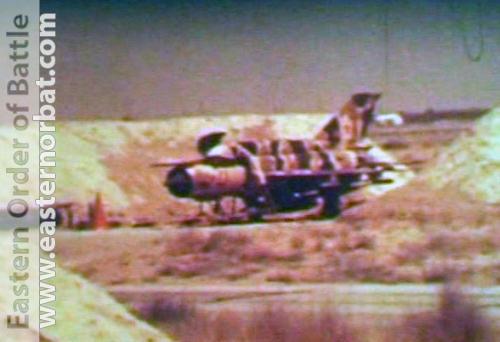 The soldier’s boots stuck in the bitumen. 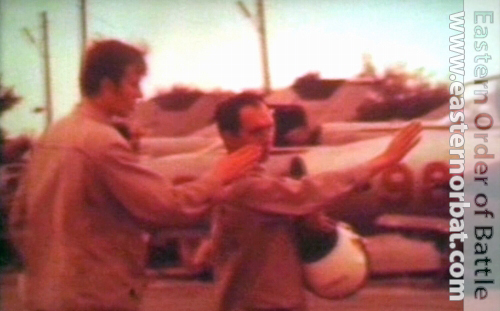 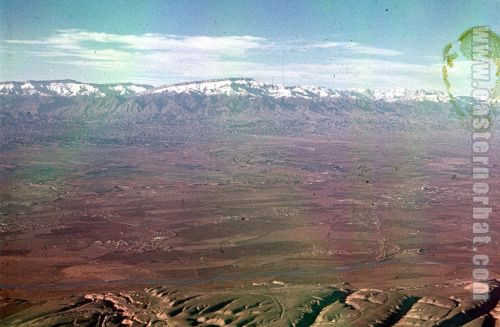 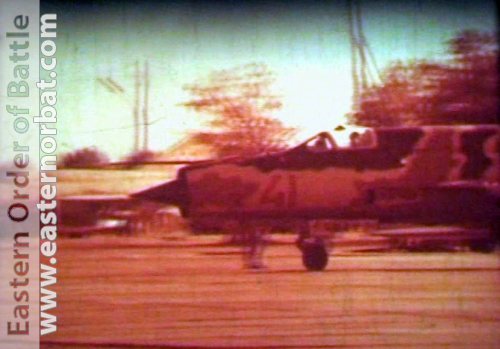 The pilots couldn't have known that a few months later, in December 1979 they're going to fight in Afghanistan. 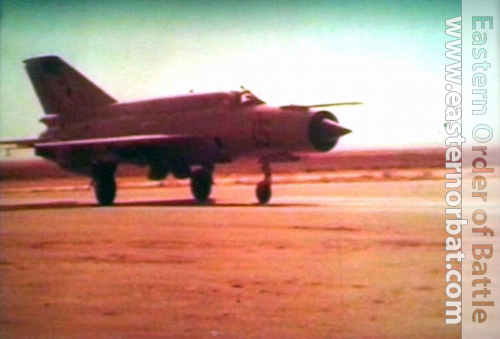 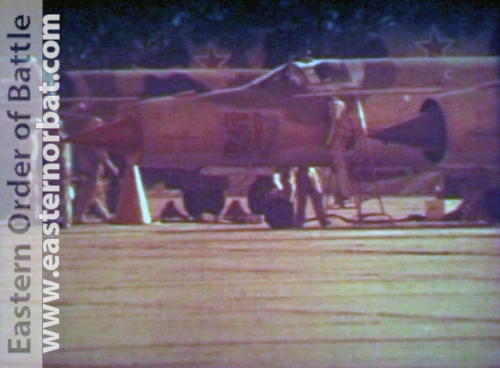 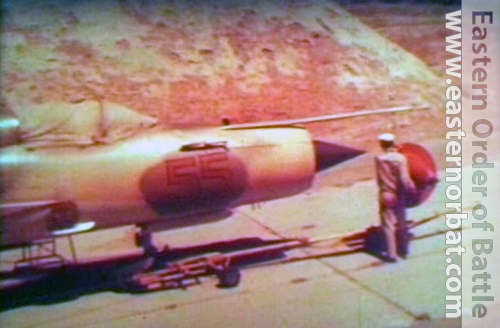 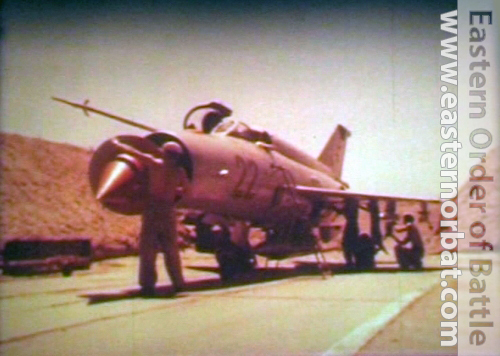 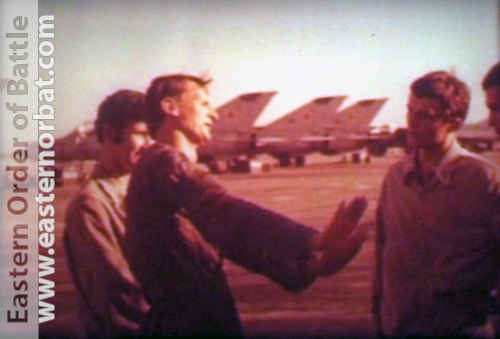 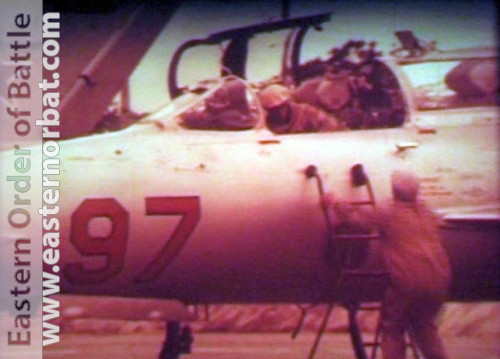 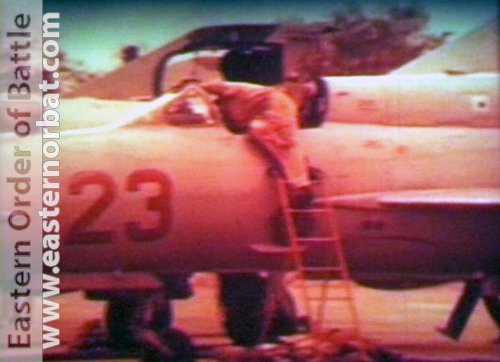 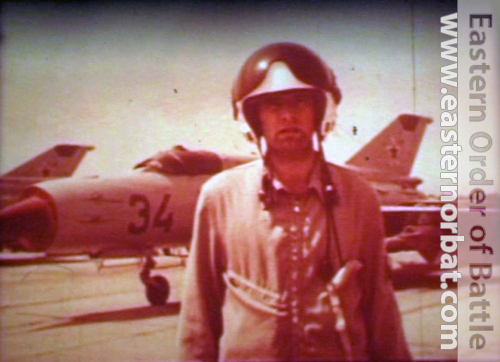 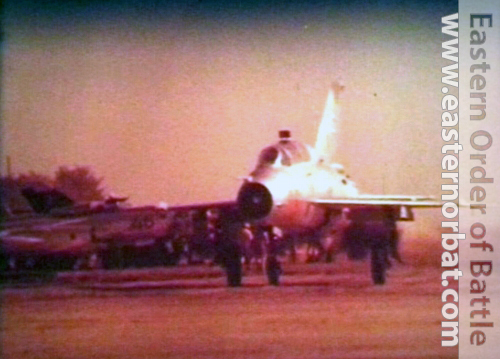 The regiment's training planes in 1979 were still silver colored MiG-21UM Mongol-B and MiG-15UTI Midget types. 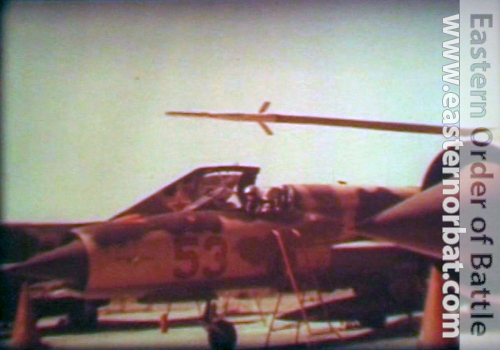 Behind one of the MiG-21UMs the 87th regiment's equally silver colored Yak-28R Brewer-D reconnaissance plane can be seen. 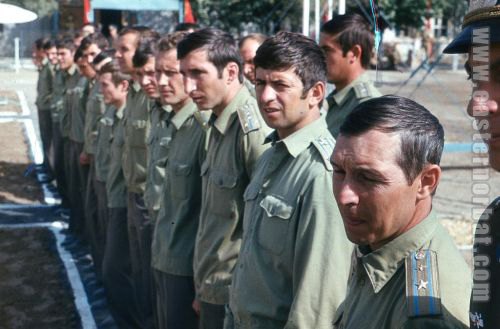 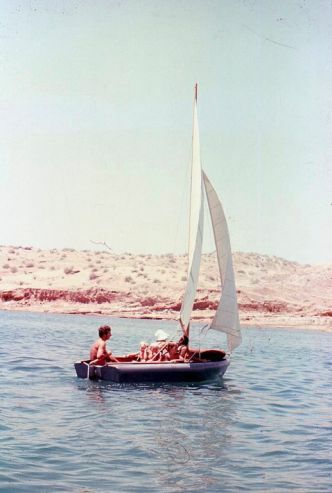 At the end of the seventies, the trend has changed. 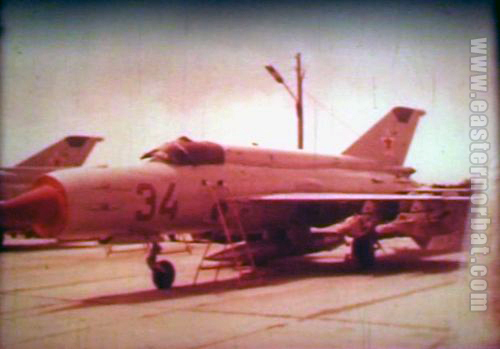 It was centrally ordered to camouflage the previously gray coloured MiG-21bis Fishbed-L fighters. 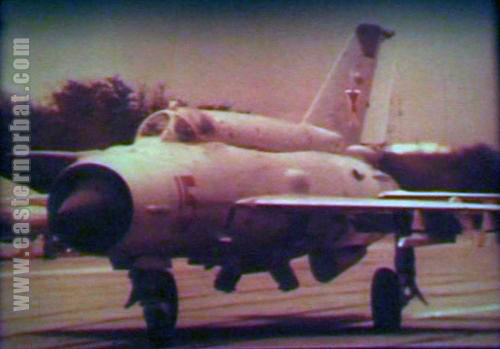 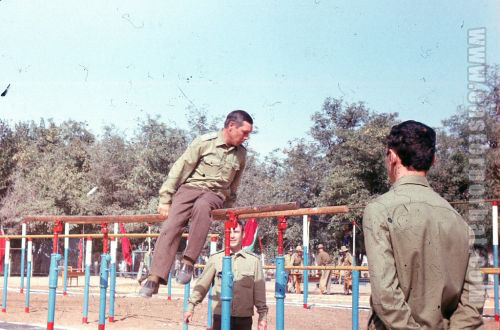 First the regiment received a few factory standard painted - sand-green at the top and gray at the bottom - MiG-21bis Fishbed-L types. 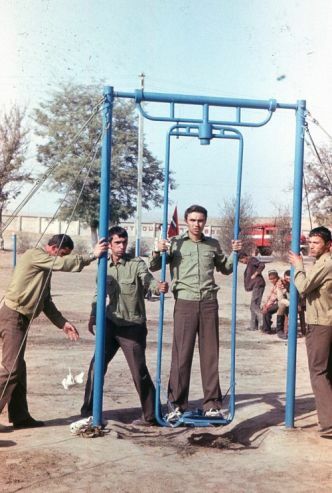 These machines were used which they received from a different unit. 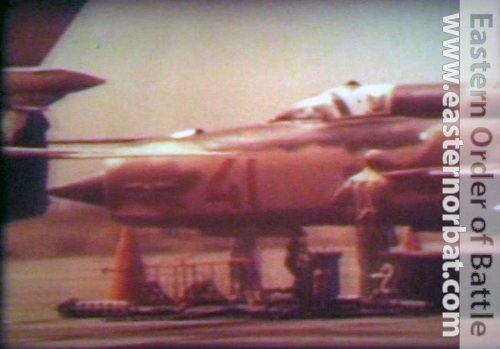 The side numbers of each was painted over in 1979. 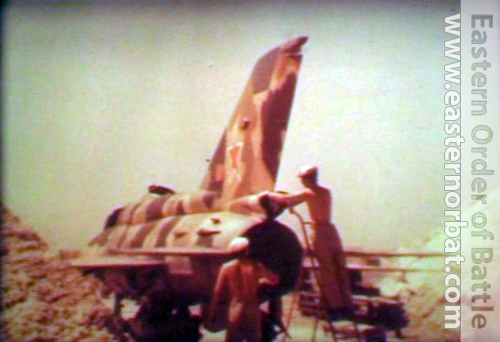 At the 115th the regiment a large part of the MiG-21bis Fishbed-L types were painted over locally to terrain colour, during the process more of them received special camouflage!